gigantic scarf itself courtesy of this lovely blogger. 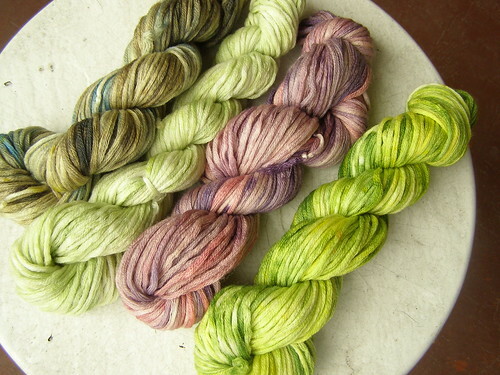 dyed with the new organic dyes. oh la! i love the sheen. these will probably land themselves in the the shop soon, although perhaps not this wednesday. with every new product comes a new pricing schema, and i haven’t figured this out yet. 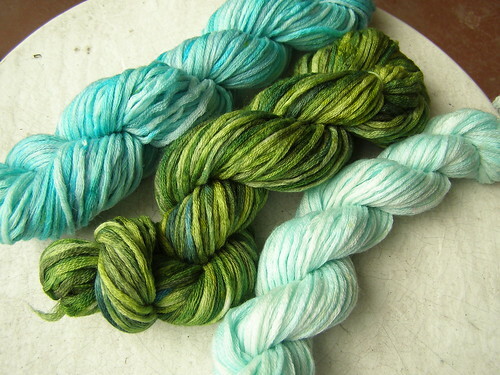 This entry was posted in community, cosyknitsliterally, dyeing, thrifty, yarn by cosymakes. Bookmark the permalink. lovely! 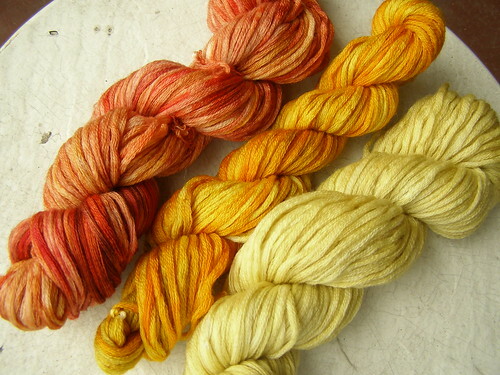 those oranges and yellows are especially gorgeous. hooray for re(ske)incarnation! Wow.. those colors are beautiful! I especially love the two darker greens and the orange – the orange reminds me of an Indian sari. I really like the middle green and that orange is intriguing. All that was from one scarf? Wow. Amazing. I would love to see what that scarf looked like before deconstruction.